Obama Fears A Nuke Will Go Off In Manhattan. Is This A Warning? SCROLL DOWN FOR VIDEOS: During a press conference in the Netherlands, President Obama said he was more worried about a nuclear threat going off in NYC than he was about the threat Russia posed. We shouldn’t be surprise with the answer he has given, since he has been slow to react to the Ukraine crisis. We have heard the threat of a nuclear bomb going off before when Senator Lindsey Graham made an odd assumption about one being detonated in Charleston Carolina. So what does it all mean? Is there really a threat that we have not heard about. Many are raising the alarm bell that his answer be an ominous warning. Could his words carry more meaning and a threat for an upcoming major nuke event? THE WEEKLY STANDARD: “With respect to Mr. Romney’s assertion that Russia is our number one geopolitical foe, the truth of the matter is that America has a whole lot of challenges,” said the president. “Russia is a regional power that is threatening some of its immediate neigbors, not out of strength, but out weakness. INFOWARS:During a press conference in the Netherlands today, Obama said he is more worried about Manhattan getting nuked than any supposed threat posed by Russia. The president made the remark after a reporter asked him if former challenger Mitt Romney was correct in his assertion that Russia is once again the primary foe of the United States following Crimeans voting to rejoin Russia. “Russia’s actions are a problem. They don’t pose the No. 1 national security threat to the United States. I continue to be much more concerned when it comes to our security with the prospect of a nuclear weapon going off in Manhattan,” Obama said. 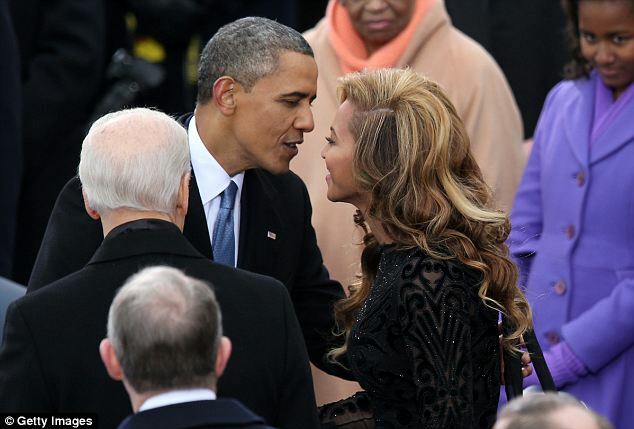 BOBMSHELL: BARACK OBAMA AND BEYONCE HAD AN AFFAIR: FRENCH MEDIA GOES GA GA OVER RUMOR OF A TYRST BETWEEN THE PRESIDENT AND SINGER. Is this more sensationalism news over a rumor with no merit. SCROLL DOWN FOR NEWS LINKS: Okay folks I just thought I put this up because of a news article in France claiming that Barack Obama and Beyonce are having an affair. I do not believe this story has any merit. I doubt there is any truth to the story. The Washington Post is supposed to release some bombshell tomorrow concerning President Obama. If and I mean if the Washington Post has some big story I will add it to my blog. For now I thought I let you read some of these articles pertaining to this crazy rumor. I say that if the story is not true someone owes the President a huge apology for running this story. Why would anyone report a story that could destroy a marriage over a rumor? I put the link of the French article and Google translate so you can Interpret the story. THE DAILY CALLER: A French magazine is reporting that the Washington Post is working on a “media bomb” about how President Barack Obama and Beyoncé had an affair. 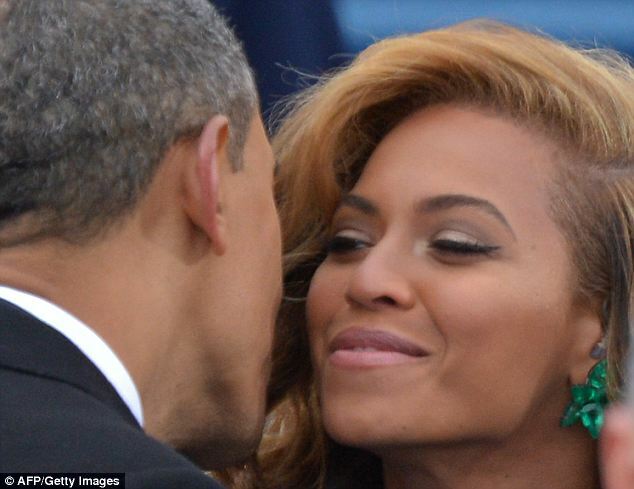 DAILYMAIL ONLINE: A French media firestorm has been circulating claims that Barack Obama and Beyonce are dangerously in love. US INTELLIGENCE FEAR AL-QAIDA ATTACK ON US SOIL. James Clapper warns that a possible terrorists attack could happen soon. 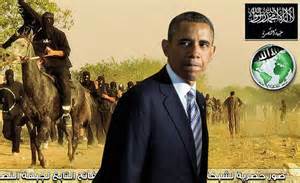 Us intelligence official fear the Al-Qaida link al-Nusra Front may bring a terrorist attack to US Soil. According to Reuters they reported, “Fears of an attack were discussed Wednesday by the Senate Intelligence Committee. It’s possible source is believed to be the Al-Qaida-affiliated al-Nusra Front, which the Director of National Intelligence, James Clapper, said “[has] aspirations for attacks on the homeland.” That’s funny the same group that the US government supplies weapons to is the same group they are funding in the war against Bashir Assad in Syria (http://rt.com/news/us-aid-direct-military-purpose-661/). The RT aticles even states that the US government is suppling weapons to moderate rebels, “The news comes as US and European security officials said earlier this week that the US Congress had secretly approved more light arms deliveries for “moderate” factions fighting to oust President Bashar Assad”. These moderates (The Syrian Free Army) they are supplying weapons to have al-Nursa in their group. This is the same group who can’t successfully oust Bashir, but are planning on attacking the US through some sophisticated attack? Did I miss the memo somewhere folks? The Syrian Free Army consists of many factions rolled into one including Al Nursa. The US provided weapons to this group in order to turn the tide of the war in Syria with disastrous results. Some of these Moderates have attacked and killed Christians and are creating a path of destruction in its wake (http://www.christianpost.com/news/syrian-christians-attacked-by-al-qaeda-linked-group-churches-shelled-orphans-flee-to-caves-103842/). Now James Clapper is stating that they want to attack our country. How did they get this tidbit of information and what kind of attack is coming? God forbid if this does happen, but if it does and they succeed in attacking our nation who will truly be responsible for letting an attack happen? Well now we know if something does happen at least we got a warning of its incoming. Dare I say the two words that so many conspiracy theorists utter over and over again, an upcoming FALSE FLAG event? Click on links to see how deep the rabbit hole truly goes. RT NEWS: Intelligence reports say there is a threat of a terrorist attack on US soil by an Al-Qaida-linked group based in Syria. But despite the Mideast country increasingly resembling a haven for terrorists, the US is still not convinced it wants to deal with the government. MIAMI HERALD.COM: The Syrian militant group tied to al-Qaida, the al-Nusra Front, wants to attack the United States and is training a growing cadre of fighters from Europe, the Mideast and even the U.S., the top U.S. intelligence official told Congress on Wednesday. OBAMA TO RULE WITH EXECUTIVE ORDER. He has a pen and he has a phone. YIKES!!! 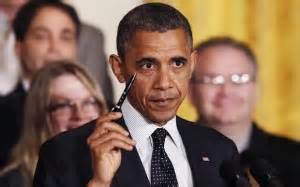 CLICK ON ARTICLES AND VIDEO ON OBAMA EXECUTIVE ORDER RULE: We should not be surprise about what he said using Executive Orders. It seems like the President will Rule by decree in order to bypass Congress and achieve his ultimate goal, while trashing the Constitution in the process. So what does Executive Order Mean and is he abusing that right given to him with that policy. If you like to read what Executive Orders can do I highly advise you to scroll down to About.Com to understand this abuse of Power taking place. YAHOO: President Barack Obama has told Senate Democrats he plans to use his executive authority to act in 2014 when Congress stands in his way. ABOUT.COM US GOVERNMENT INFO: A presidential executive order (EO) is a directive issued to federal agencies, department heads, or other federal employees by the President of the United States under his statutory or constitutional powers. Dramatic footage of plane that killed Loretta Fuddy by a passanger as it crashed in Hawaiian water. Loretta Fuddy was the only passenger to perish in the crash. She clung to her deputy during her final moments of life in the water but then let go and died while everyone else was saved. I am sure conspiracy theorists will have a field day. To be honest this opens the door to more questions. DAILYMAIL ONLINE: Dramatic new footage shows the moment a small plane crashed in Hawaiian waters and resulted in the death of state health official Loretta Fuddy – the woman responsible for releasing President Barack Obama’s long form birth certificate. The footage obtained by ABC News was taken by a passenger on the plane, who started filming out the window of the flight just moments before it made an emergency water landing. So now that we have a little run down on some of todays big news on Obamacare be sure to click on the articles to see how it will truly affect you. We have people losing coverage, higher premiums on insurance, higher cost to the consumer, and that’s the tip of the iceberg on this massive Titanic law that is waiting to hit an Iceberg. Obamacare is not going to go away and you will be spooned forced this law down as a healthy dose of Medicine. Open up and say Ahhhhhhhhh!